Hillary Clinton and Martin Walsh were seen during a forum on substance abuse in October. 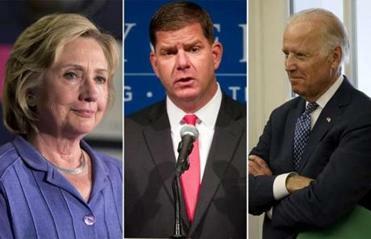 Boston Mayor Martin J. Walsh, who earlier this year said he would be conflicted if Vice President Joe Biden were to run for the White House, will endorse Hillary Clinton’s presidential candidacy later this month, according to two people close to the mayor. Clinton is scheduled to headline an afternoon rally at Faneuil Hall on Nov. 29, and Walsh will endorse her there, one of the people close to Walsh said. Walsh’s ties to the Clintons date back to his earliest involvement in politics, more than 20 years ago. But in recent years he has grown close to Biden, and confidantes said, before the vice president last month ruled out a White House bid, Walsh was agonizing over which Democrat to support. After Biden bowed out, Walsh’s embrace of Clinton appeared inevitable. Clinton or Biden? What’s a mayor to do? Although he was a delegate for Hillary Clinton during her 2008 run, Mayor Walsh is closer personally with Joe Biden. Walsh came away from a substance abuse forum in Dorchester last month impressed with Clinton’s knowledge of one of his top issues and has “been talking to her people since, and he’s excited to go forward,” the second person said. 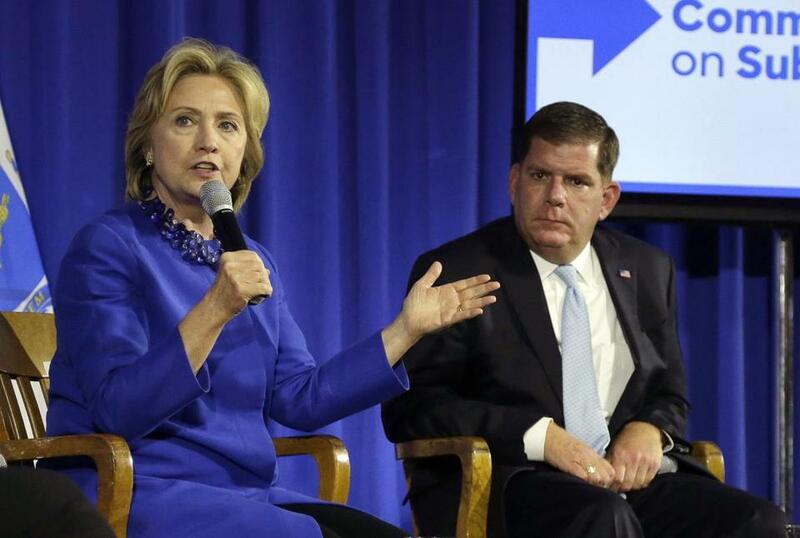 Walsh and Clinton share a political counselor, Michael Whouley of the Dewey Square Group, and another Walsh adviser told the Globe in September that the mayor had been “courted aggressively” by the Clinton camp. The electoral value of a Walsh endorsement is unclear, particularly as Clinton appears in command of the Democratic primary. The mayor would likely send troops to New Hampshire and could prove an asset with labor groups, some of whom are still leery of Clinton’s ties to Wall Street. “When I do endorse in this race, I intend, as I always do, on going all in. There’s no question about it,” Walsh said in September, before he had decided on whom to support. Walsh’s endorsement would leave US Senator Elizabeth Warren as the state’s only Democratic heavyweight not to line up behind Clinton.